Portraits of Emotion is a feature length documentary film that follows over the course of four years the life of 14-year-old Jonathan Lerman, an artistic prodigy who is diagnosed with autism, a lifelong developmental disability that affects learning, communication and social interaction. While capable of drawing astonishing portraits that capture the nuances of human emotion, Jonathan is unable to effectively verbally communicate his feelings. Read more below. Winner of the Grand Prix Awards at Belgrade International Film Festival and at the Integration You and Me Film Festival in Koszalin, Poland. Portraits of Emotion is a feature length documentary film that follows over the course of four years the life of 14-year-old Jonathan Lerman, an artistic prodigy who is diagnosed with autism, a lifelong developmental disability that affects learning, communication and social interaction. While capable of drawing astonishing portraits that capture the nuances of human emotion, Jonathan is unable to effectively verbally communicate his feelings. By giving the audience an in-depth look inside Jonathan’s life, Portraits of Emotion builds awareness about the effects that autism has on a family over time. By answering questions about why people with autism act the way they do, this film will make viewers more comfortable with people who are “different,” and will help ameliorate society’s attitudes toward the disabled. Sometimes heart-wrenching, at other times comedic, Jonathan’s story encourages people to reevaluate their assumptions about intelligence, talent and disability. Although he struggles to connect with others verbally, Jonathan is able to process his world visually. He draws compulsively, his sure strokes caricaturing people he knows, faces from magazines, or popular rock and roll bands. Of particular interest to those who follow the world of “outsider art,” over one hundred of Jonathan’s portraits have been sold to collectors and admirers for prices of up to $2,000. While the popularity of Jonathan’s drawings has drawn considerable media attention, Portraits of Emotion goes beyond the sensationalist news reports. 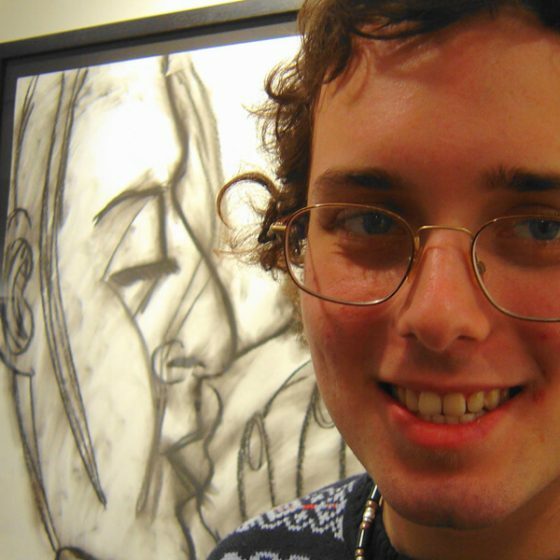 It does not glorify Jonathan’s life by portraying him solely as a prodigious artist, nor is its purpose to lament the pain and emotional distress that autism can cause the disabled and their families. Instead, the film gives the audience a far more complex and moving portrait of Jonathan. It portrays him as a teenager whose developmental disability, which has prevented him from attaining emotional closeness with those around him through verbal communication, has given him a powerful artistic ability that enables him to express his feelings and to reveal the feelings of others. The result is a powerful, intimate portrait of life with autism for Jon and his family. Because his work would be considered extraordinary even if he were not disabled, Jonathan is considered a prodigious savant. Generally divided into two categories, an ordinary savant is someone who, though mentally handicapped, can competently accomplish one particular skill. A prodigious savant, while his other intellectual abilities and social skills are severely limited, has a talent that would be extraordinary even if he were of normal intelligence. Prodigious savants are rare – it is estimated that Jonathan is one of only one hundred now alive. Jonathan’s astonishing work is defined by the facial expressions in his portraits that communicate complex perceptions of human emotion. This is especially notable because most autistic artists don’t show faces. In fact, it has been postulated that autistic children, because of their difficulty with object permanence, don’t “see faces.” Jonathan’s drawings reject this notion by not only depicting faces, but by capturing the intense feelings the faces express. To what extent Jonathan understands the success of his art is not clear. While displaying prodigious ability with charcoal and paper, he struggles socially. Although his room is plastered with rock posters and baseball memorabilia, making him appear on the surface like any other teen, Jonathan’s life is a world away from that of his peers. Because daily routines help Jonathan deal with the sensory integration problems that are characteristic of autism, he follows a closely proscribed regimen, including meticulous details from the time of his departure for school to the toppings on his cheeseburger. While his hands are capable of drawing precise lines, he lacks the motor coordination to hit a baseball. His parents patiently help him remain calm as he copes with new situations. Jonathan’s father, Alan, hopes that his son may make a great contribution to the whole population of disabled people, explaining, “My view is that Jonathan may achieve some celebrity, and now kids who tease him will say, ‘this is a famous artist.’ They will want to know him, and that positivity will be extrapolated to other handicapped children.” It is with a similar goal in mind that Portraits of Emotion allows viewers to intimately glimpse the complexities of this autistic prodigy’s life. Taking an autistic individual out into the community can be a source of stress for parents. People may stare, make comments or fail to understand any mishaps or behaviors that may occur. As a result of these potential experiences, families often become uncomfortable and, feeling like they cannot socialize or relate to others, may experience a sense of isolation from their friends, relatives and community. 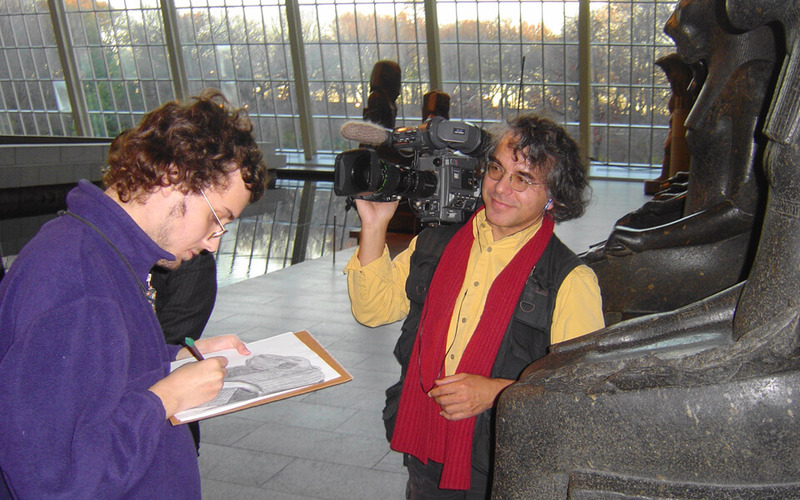 By painting a deeply humanizing portrait of Jonathan as at once both incredibly gifted and impaired, the film will encourage viewers to become more familiar with disabled people in their communities. SPENCER — If Slawomir Grünberg can make the smallest difference in people’s lives, then it’s worth spending four to five years creating a documentary, he said. Two of Grünberg’s latest films will premiere this month in the region — one film follows an autistic child prodigy from Vestal and the other recaptures the deportation of a Jewish couple to labor camps in the former Soviet Union. Grünberg, 56, is an Emmy Award-winning documentary producer, director, cameraman and editor. He regularly turns out one to two films per year and has completed more than 40 television documentaries. Many of his films have been screened in theaters and film festivals worldwide. Grünberg, of Spencer, said his projects are either something he discovers on his own or were introduced by people who ask him to bring to life a particular issue. The last local documentary he produced and directed was “Borderline: The People vs. Eunice Baker,” which tells the story of a borderline mentally handicapped woman who was sentenced to 15 years to life in prison in the death of a young child in Owego. The murder conviction was later overturned. 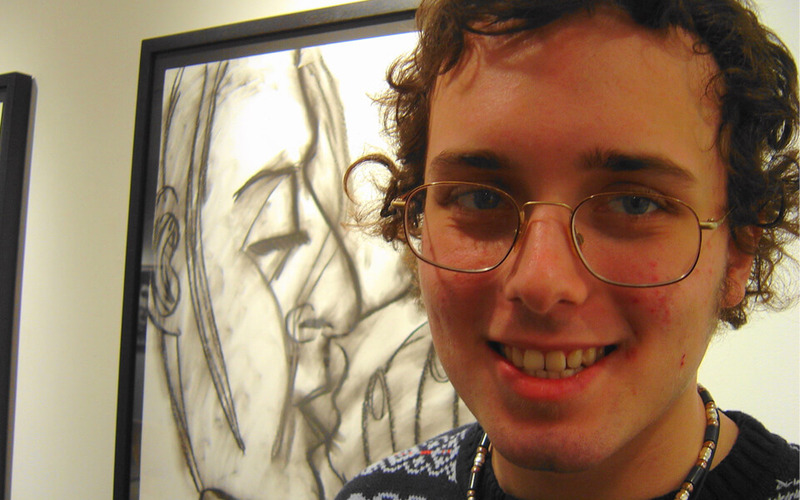 His latest documentary, “Portraits of Emotion: The Story of an Autistic Savant,” delves into the beauty and frustration of Jonathan Lerman of Vestal, an autistic child prodigy, now 19. The teenager captured worldwide attention as early as 11 years old and currently sells artwork in New York City’s KS Art Gallery at $1,800 apiece, his mother Caren Haines said. Autism is a developmental disability that results from a disorder of the human central nervous system, according to the World Health Organization. Autistic people have difficulty with communication and social interaction. Grünberg’s film follows Lerman and his family for a four-year period. Lerman was diagnosed as autistic when he was 2 years and 10 months old, Haines said. When he was about 10 years old, his aide called Haines and told her that she had to come to the Jewish Community Center right away. Haines’ first reaction was that her son had another tantrum or wasn’t getting along with the other children. But Haines was astonished to see a remarkable picture that her son had drawn with charcoal and pastel crayons. Lerman’s first solo show was at the age of about 11, she said. Since then, he has appeared on Teen People, MTV True Life and The Today Show. Haines said there is a tremendous joy in raising an autistic child. Lerman’s father, Allan Lerman, said he thought Grünberg captured his son’s intelligence, talent, sense of humor and difficult moments. The film is not an answer to why autism affects children, but it tells the story of what it’s like to have an autistic child in the family — their skills, problems and achievements, Grünberg said. Grünberg’s interest in photography began at the age of 15. He produced his first film at age 24 and attended the Polish Film School in Lodz, Poland. 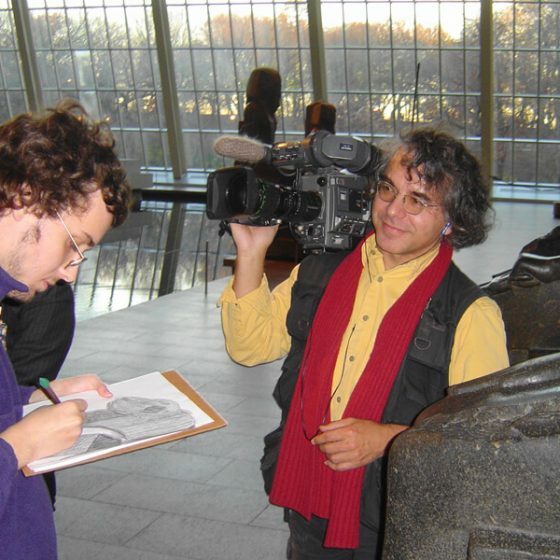 He graduated at age 30, moved to the United States and taught film and television for eight years at various locations, including Cincinnati, Chicago, St. Louis and Ithaca College.